While Sydney is a modern city with wonderful architecture it also has its own sense of style when it comes to home colour schemes. Sydney house painters and homeowners must not only look at how they want the finished scheme to look like, but also consider how it fits in with the neighbourhood. Sydney is a city with a diverse mix of both historical as well as modern buildings that are not only great for finding inspiration for your paint colour scheme, but also for your overall interior and exterior design. However, with so many buildings to look at you can be in danger of trying to mix and match different styles that just won’t work in the end. Sydney House Painters, Colour Elegance, have prepared this guide. You can use it to choose your colours, or we can provide a specific colour consultation. Is the existing colour scheme the same as when your home was built? How do you want your home to ‘feel’ from an updated colour scheme? Are you looking for a modern colour scheme or something more traditional? Once you have a starting point for your chosen colour scheme you can start looking for inspiration around your neighbourhood, suburb and around Sydney itself. While you will most likely also be looking online as well, seeing how colours work in real life will help you avoid a colour scheme that just doesn’t suit you and your family. Living in a city with a rich history dating back to colonial times means that if you love classic colour schemes, then you will have plenty of examples to look at. Professional painters in Sydney are often working on heritage listed buildings that not only require that they maintain their structure, but quite often their original colour schemes. Much of the early colonial style of colour schemes in Australia weren’t influenced by the local surroundings, but rather by whatever resources were available. The early colonial homes were typically ‘simple’ in terms of colour schemes, using either imported paints or homemade lime washes. Usually, homes would have at most two colour tones – think ochres, umbers as well as whites and creams. Roofing was either corrugated iron (unpainted or painted red) or unpainted slates and shingles. Internally, regular homes would be mostly just whitewashed inside but other homes did have slightly more depth in terms of colour schemes – especially with the introduction of wallpaper in the same period. Generally, the paint colours and interior colour schemes would be classed as light, earthy, or a combination of both light and earthy. This is perhaps more likely due to the lack of choice at the time than to prevailing fashions in the colonies or back in Britain. The mid-Victorian era of housing in Australia may not have represented a huge leap away from the early colonial style, but it did represent greater choice and experimentation with additional colours and tones. This era really highlights the conservative nature of design in those days, with subtle changes as well as retention of previous features from the early colonial styles. Examples include the rise in popularity of green painted corrugated iron roofing, while a continued popularity of red painted iron roofing. Interior colours during this period were carefully selected and, unlike the colonial styles, moved away from just earthy tones to creating a more robust (and matching) interior paint colour scheme. In a mid-Victorian home you could have expected to see a harmony of red, olives, golds, browns, greys, blues and other colours. However, spaces such as the kitchen could still be expected to be white or cream. Darker and earthy colours continued into this period with homes featuring dark greens, reds and browns with a greater diversity than previous periods. Sydney house painting styles were still evolving but had become to be at least a little more ‘adventurous’ in terms of colour pallete. However many standard homes still used a three colour palette, with light weatherboards, dark trims and skirting, and a medium or dark colour for window frames. This is still a far cry from the diversity you see in Sydney colour schemes in the modern world, as even the roofing retained all the same colours of earlier periods. The biggest difference to earlier periods was the popularity of trims and other decorative items inside and outside the home – such as alternate colouring for veranda posts. This era really laid the foundation for the sheer diversity that we now see around Sydney suburbs and within the elements of colour schemes inside and outside Sydney homes. Australia (and much of the world) saw an explosion of different designs while still maintaining some influences of the past. This is especially true in the often vibrant art deco and other modern styles that became popular between the 1920s and the 1940s. However, its vibrancy was more in its highlighting of details than in any use of bright colours. Generally, colour selection was still subdued with whites, pale pinks, soft greens and light browns dominating. One way to better understand the types of colour schemes that will best suit your home is to have a look around your own suburb. Professional painters in Sydney find that most suburbs have their own particular style – especially in terms of period homes and heritage colour schemes. However, even if you want to create something a little different in your suburb, then you will still want to get some inspiration around your Sydney suburb. Take a drive or walk around – if you take a wander around your neighbourhood it will give you a much clearer idea about the prevailing colour schemes around your suburb. While you probably see the houses and building around you everyday, you probably haven’t seen the actual colours and styles used. 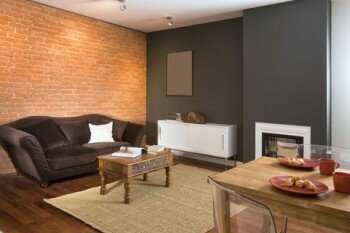 If you can, it’s also nice to be able to see inside local homes for interior paint colour ideas. Ask a professional painter in Sydney – using a local experienced Sydney painter will give you access to years of professional experience, especially in regards to historical and popular colour schemes. They can also give you a better idea of how to take inspiration from your suburb and still make the colour scheme your own. Research your suburb’s architectural history – while taking a look around your own suburb can help, there are also organisations and records that might help you find the perfect colour scheme for your home and suburb. It can be worthwhile checking with your local library or council in regards to local records on historical buildings. Understand your own home’s history – if you are lucky enough to know your own home’s history then it can certainly help you to bring an historical home back to life. Photos can give you a better idea of how your home was painted in the past, and knowing the era it was built will let you decide whether to return it to its former glory or to try a more modern colour scheme. There are really no limits to your indoor or outdoor colour schemes. 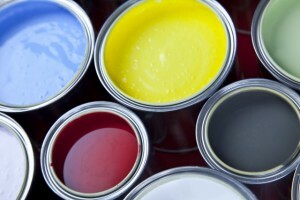 Advances in paint technology as well as professional painting techniques means that, if anything, the hardest part is narrowing down your colour choices to something that will work well with your home and area. 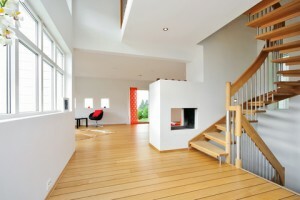 White or cream interiors have and always will be a popular choice for Sydney homes. Having a white interior design allows you to add accent colours with ease while keeping the general colour scheme of your home relatively simple. When you use darker colours in your home’s interior it can make a space seem smaller, while white will create a wonderful sense of space. If you are unsure of what to paint your home’s interior then you should at least consider trying basic whites and creams. Professional Sydney painters use these colours on many Sydney properties from family homes through to investment properties because of its neutrality. Having white walls and ceilings means you can easily accessorise with added colour later on. If you are not convinced that classic whites and creams will suit you or your family’s personality, then primary colours may be more suitable. Using primary colours, or variations of them, can make for a more fun and energetic looking interior, or add something just a little different to your exterior. In fact, if you take a look around your suburb, you will probably notice many newer developments from apartments to houses have a splash of bright primary colours on their external walls or in landscaping elements. Using darker or bolder colours for your trims and edges on the outside of your home. Adding coloured feature walls to your interior design colour scheme. Using different colours for your skirting boards and cornices inside to highlight your wall and ceiling. As we mentioned above, using whites, creams and softer colours in your Sydney home gives other (even subtle) colours a chance to really stand out as well. So rather than painting all of your walls and ceilings a colour that could be a little risky, you might want to use it as an accent colour instead. The Sydney Opera House – white, elegant and powerful, this building shows what can be achieved with minimal use of colour. While it may be a big ask to transform your roof to look like the opera house, you can take inspiration from the buildings simple colour scheme. Sydney’s Modern Skyline – Sydney is a modern city with a vast array of modern skyscrapers, apartment buildings as well as new houses in the suburbs surrounding the city. Even if you have an older home, there are many new buildings to give you some colour inspiration, with many now incorporating splashes of bold colours on their exteriors. 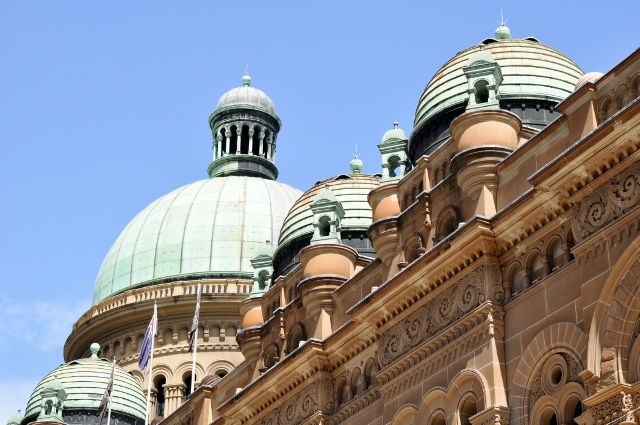 Sydney’s Historic Buildings – Sydney has been blessed with many historic, and beautiful buildings dating from the first settlements right through Australia’s development as a country, The historic buildings are great for highlighting Sydney’s natural materials and colours such as sandstone. One feature of Sydney’s homes and architecture continues to stand out and that is the light and sometimes simple nature of designs and colour schemes. Carefree colour schemes (inside and outside) are perfectly suited for most Sydney suburbs whether they are beside the ocean or at the foot of the mountains. 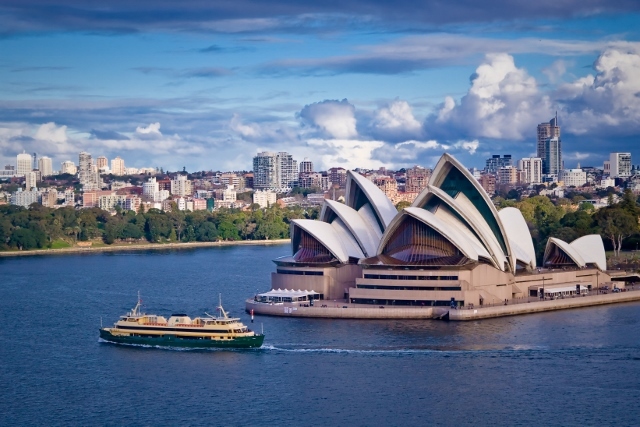 Sydney is also a city that has maintained links to its historic past while incorporating all of the design elements and colour schemes of a modern city. If you would like to rejuvenate your home then contact us to speak with a professional Sydney painter now.